Ever written an article about yourself as an act of blatant self promotion? Cairns CNC Paul McNamara has recently been appointed to the editorial board of the International Journal of Mental Health Nursing (IJMHN). IJMHN is now in its 26th volume, and has built a solid reputation over the last quarter century. The journal’s impact factor of 1.943 is a great achievement. Traditionally the success or failure of a journal article was measured by citations. The only way authors/researchers knew if their work was being read was when other authors referenced their paper. Now that IJMHN is purely an online publication (with an iPhone/iPad app), there is another metric that can be used – how often the article is shared on social media. Paul’s professional digital footprint is built around the homophone “meta4RN”, which can be read as either “metaphor RN” or “meta for RN” – try Google or go to meta4RN.com to see what it’s all about. And follow @meta4RN and @IJMHN on Twitter! This blatant piece of self-promotion could possibly also be included in a newsletter/magazine, but it’s one of those publications that’s organisation/member-specific. That means only a certain group of people will see it, and it will remain unknown to those not part of the organisation. A bit secretive, eh? As always your comments/feedback is welcome below. Paul McNamara, 9th January 2017. 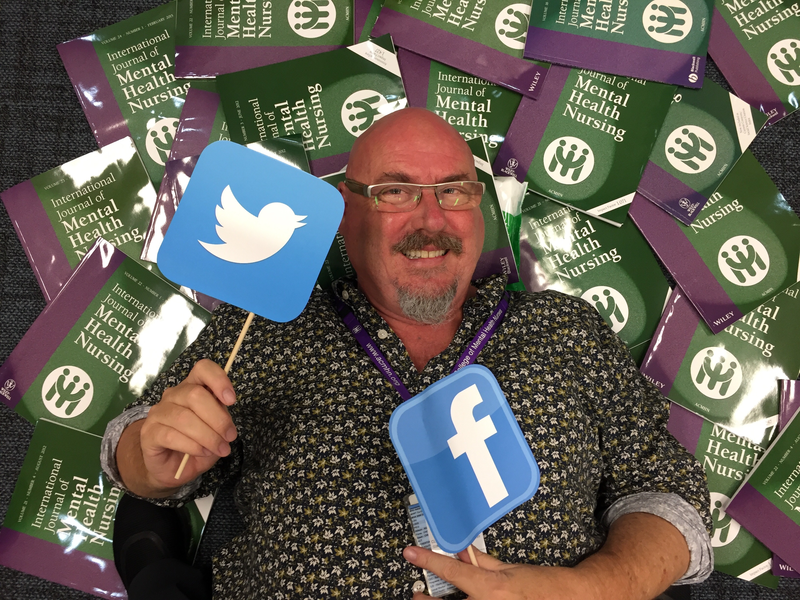 This entry was posted in Blog and tagged #HCSMANZ, #SoMe (Social Media), ACMHN, Facebook, IJMHN, mental health, nurse, nurses, nursing, Twitter on 9 January 2017 by Paul McNamara.